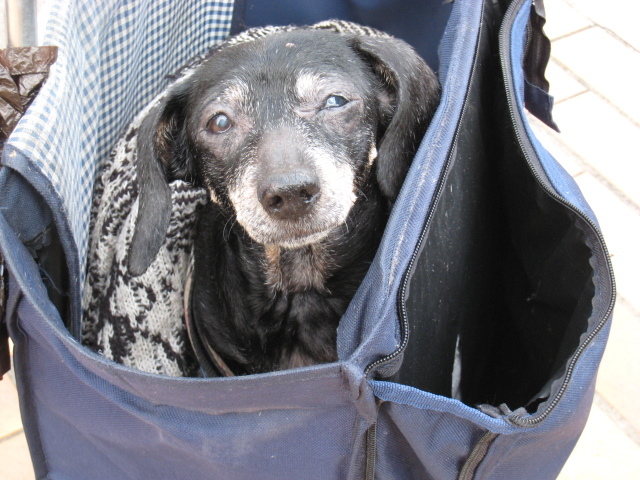 Ficelle - slim baguette in French - is a 17 year old nearly blind dachshund who is taken on walks in her owner's shopping trolley. 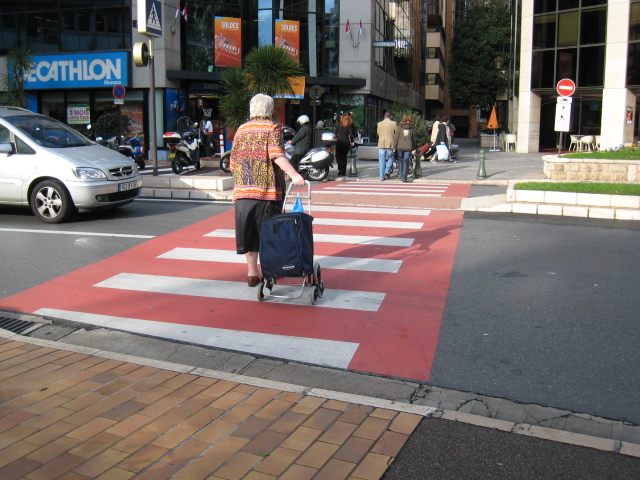 Crossing the road in Fontvielle, Monaco on the way to the Carrefour Centre Commercial. 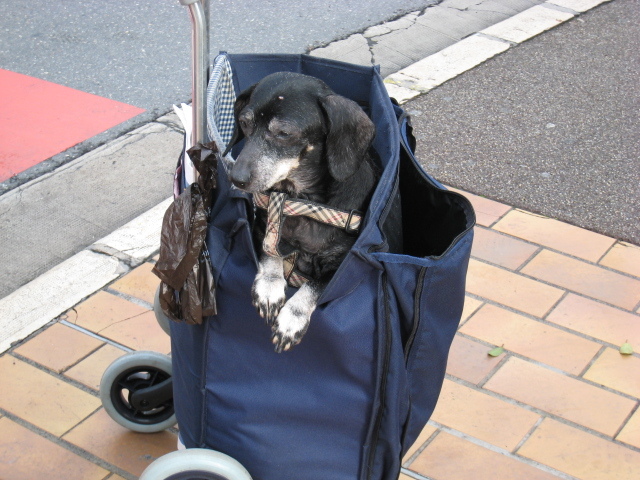 Her owner lifted her partly out of the trolley for this photo. So proud, she was, that her old friend was being photographed. What a lovely scene! So beautiful the love between men and dog!